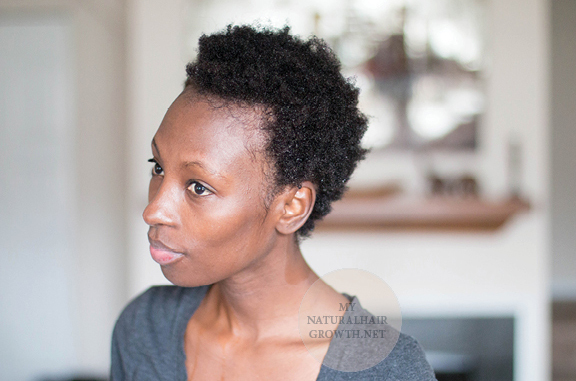 It’s been a year since my second big chop (see detailed video here) and much has changed. While length is the most obvious difference, I have also become absolutely comfortable with my hair in its various states. I’m much more relaxed about the journey this time around partly because I have figured out how to work with (not against) my hair and perhaps more importantly, because I embrace my hair no matter what condition its in. Of all the changes expected with the first 12 months, the mental shift in how I perceive my hair has been the most rewarding. Texture: True 4C with the characteristic appearance of a cotton field when observed from a distance. 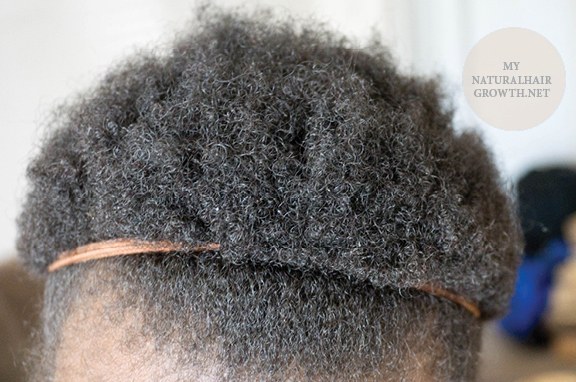 Contrary to popular belief, 4C does have a very tight knit curl pattern that’s visible up close. Appearance: My hair is very dry. In fact it’s so dry that I can’t go a day without proper moisturizing. I refrained from moisturizing for about a week in order to gauge characteristics and my hair dried almost to a crackle. In fact by day 3, it was already completely dried out. 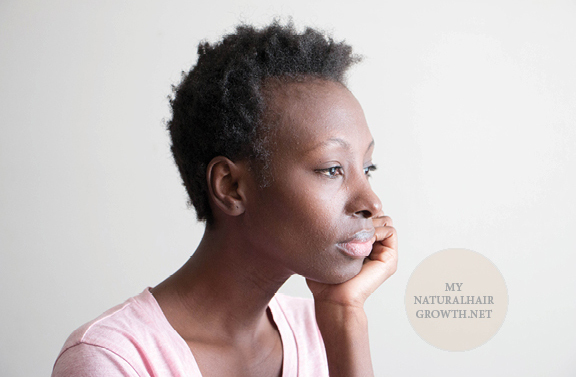 Density: Light density and thin hair are synonymous in the natural hair community but I associate thin hair with damaged hair so I prefer to call my hair light density. Hair density is a function of the number of strands per square inch of scalp as well as the diameter thickness of individual strands (see detailed explanation here). My strand diameter is normal (not thick or thin), however I have few strands of hair per square inch of scalp, which puts my hair in the light density category. From past experiences, my growth rate is slightly above a ¼ inch (6.35mm) per month (detailed explanation here). Although I big chopped in December 2014, I got scissor happy and went completely short (less than ¼ inch) in April 2015. That would mean the current length is from 8 months of growth. I didn’t measure it (see why I don’t measure my hair) but it’s rather obvious I have between 3.5 and 4 inches of growth, which in essence translates to the expected growth of slightly above ¼ inch per month. I figure I have about 80% shrinkage rate, which means only 20% of my true length is visible when my hair is not manipulated in any way. With simple manipulation, such as getting it completely soaked, which is what I did here, the length becomes more apparent. 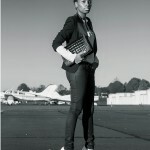 Hair will absorb about 4 times its weight in water, which causes it to swell and be weighed down. This creates a stretch effect and allows me to see the tensile strength, which is basically how far my hair can safely stretch. That’s my length. 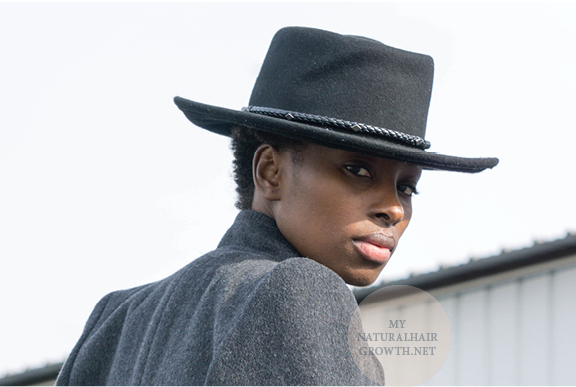 2015 was focused mostly on deep conditioning to curb dryness and keep the TWA happy. With gained length, I can now effectively resume my plant-based regimen that entails weekly herbal muds. Amla (see mud profile) and Rhassoul clay (see mud profile here) are my two top choices although I will experiment with all my favorites. 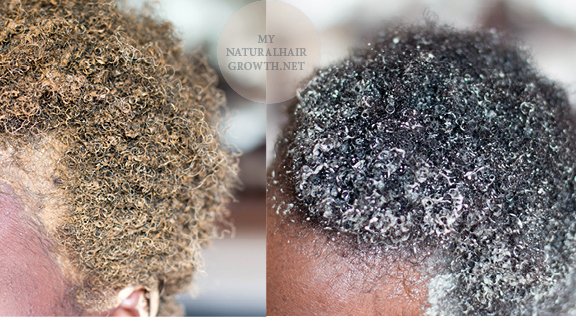 Deep conditioning is also a weekly priority and my product of choice is Giovanni Deeper Moisture Conditioner. I would like to try some of the Shea Moisture deep conditioners as well, please leave me suggestions in the comment section. To circumvent hair care exhaustion (where it becomes a chore and I start to resent it), my regimen will entail switching between the muds and deep conditioning from week to week. I’ll be using my home made oils – dry hair and the growth blend (available here) in conjunction with the muds as well as hydration cream (available here) as the primary moisturizer. I’m experiencing slight breakage (nothing to panic about) so I’ll use some garlic infused oil (laced with essential oil) on my scalp and try to be more conscious of my diet. *Hard Protein Treatment: Aphogee 2 step protein treatment every 12 weeks or as needed. I’ve heard a lot of raves about the maximum hydration method and I plan on incorporating elements of the methodology into my regimen this year. Shrinkage has been my best ally especially here at the awkward length stage. 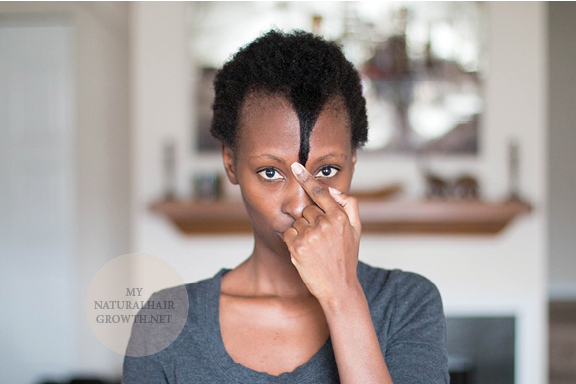 I’ve been encouraging my hair to shrink by patting it down so it appears to be a really short, cute TWA. Like mentioned before, I have no issues wearing my hair out when its tangled and sans makeup about 85% of the time. I dropped foundation in favor of tinted moisturizers (which I make by mixing my homemade aloe cream (video here) with a few drops of Urban Decay’s super weightless foundation). 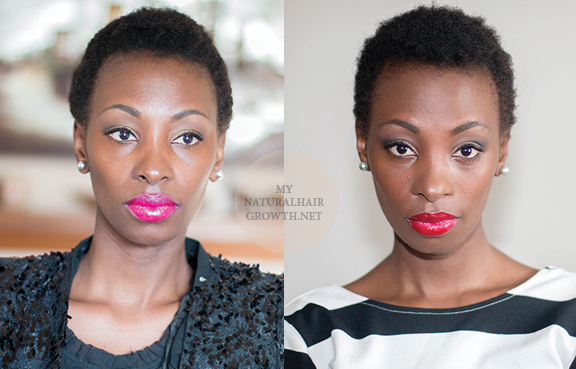 With my shrunk TWA, neutral eyes and a bold lip is all it takes. Most of the time it’s bare face and tangles though…that’s when I’m happiest. I managed to coerce my hair into a teeny weeny bun that’s very adorable. This is the only other style I tried in 2015, mostly because I am lazy and my hair is short. 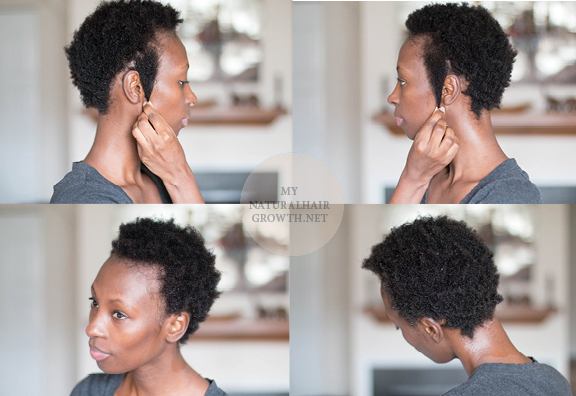 Now that I have some length, it’s time to experiment with twist and braid outs, especially using my homemade flax gel cream (video here) I’ll also consider the braid lace wigs that are currently flooding the market as a protection style. If all else fails… there’s always a hat. That’s it for the 2015 State of The Afro (I feel so clever for coining that phrase 🙂 ) ! I’m looking forward to the length and lessons that 2016 will bring. Whatever your hair goals may be, I wish you much success and a wonderful new year!